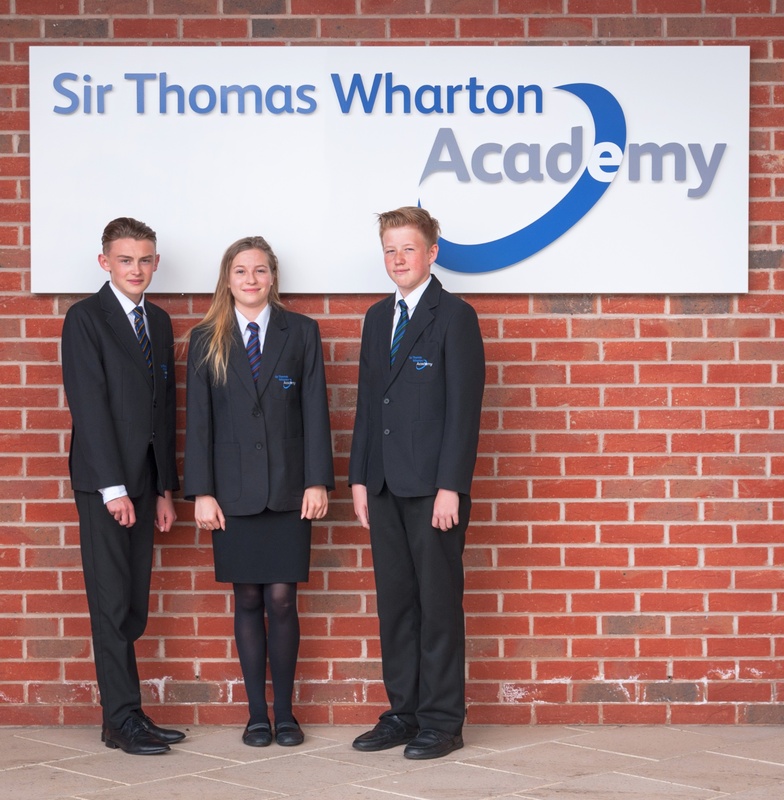 The Academy attaches great importance to appropriate dress. It helps to establish a feeling of community, sense of belonging and develops the personal presentation skills of our students. 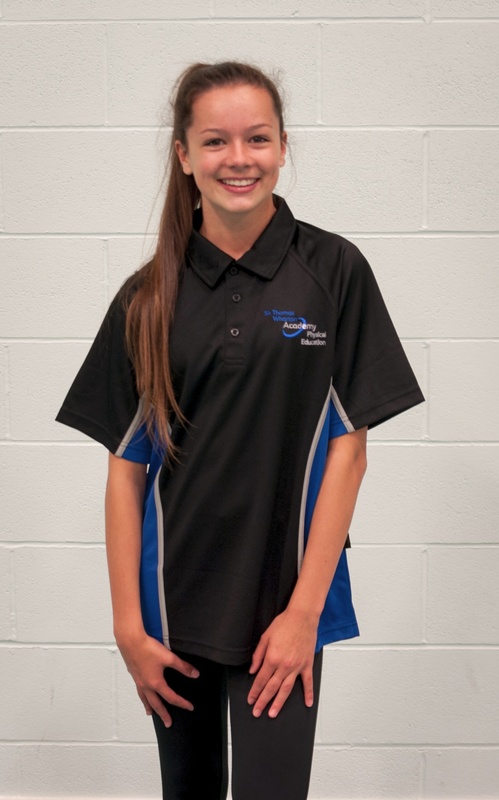 Uniform is therefore not an option, it is a necessity. 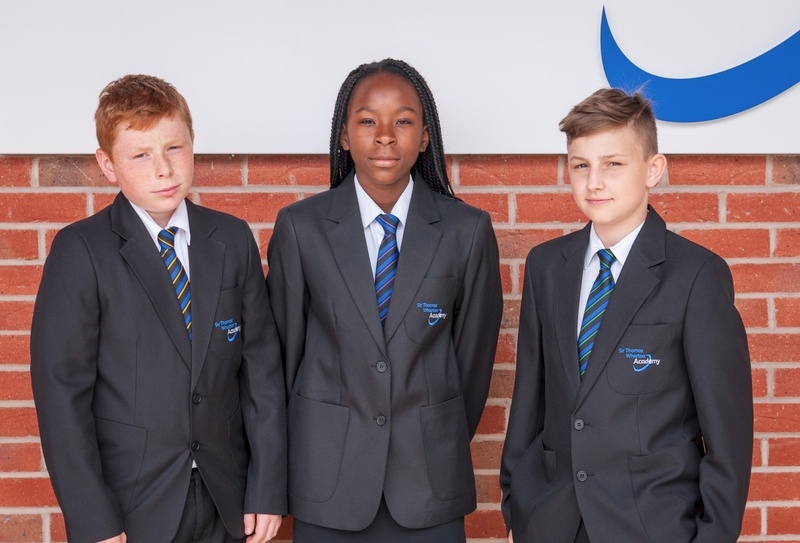 We expect all students to wear our uniform with pride. 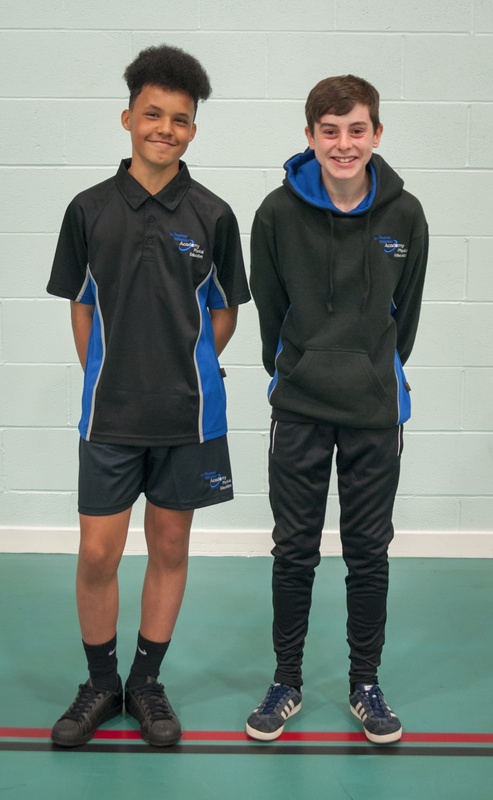 Academy uniform must be worn at all times (except for jumper or cardigan), in the Academy, on Academy visits and outside activities unless other arrangements are specifically made with staff. All outdoor coats and all other items which are not part of the Academy uniform must be removed at the entrance to the Academy building. 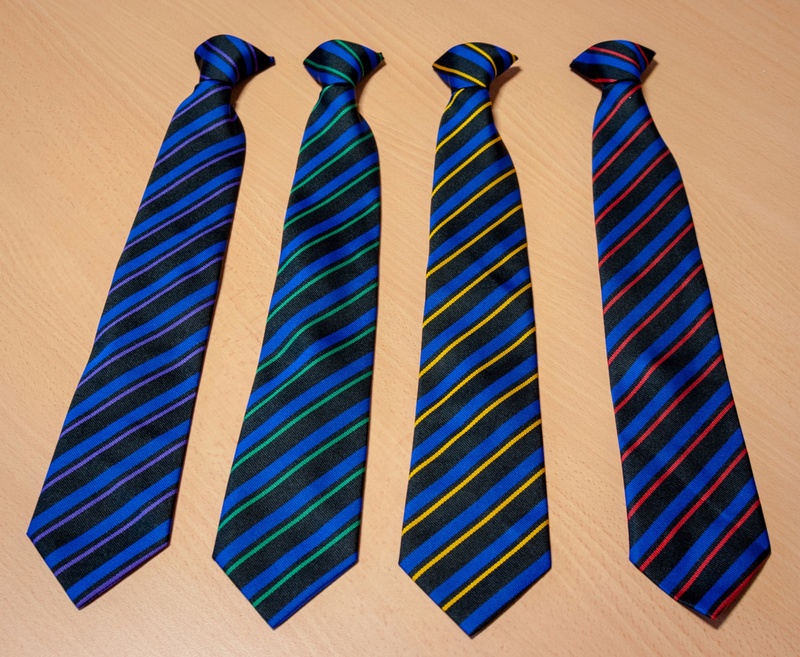 Academy ties are also available to purchase from the Academy shop. If in doubt, please contact the Academy before you purchase. Black formal blazer (closely fitted or fashion jackets are not acceptable) with embroidered logo. Clip on tie showing house colours (damaged ties must be replaced immediately). 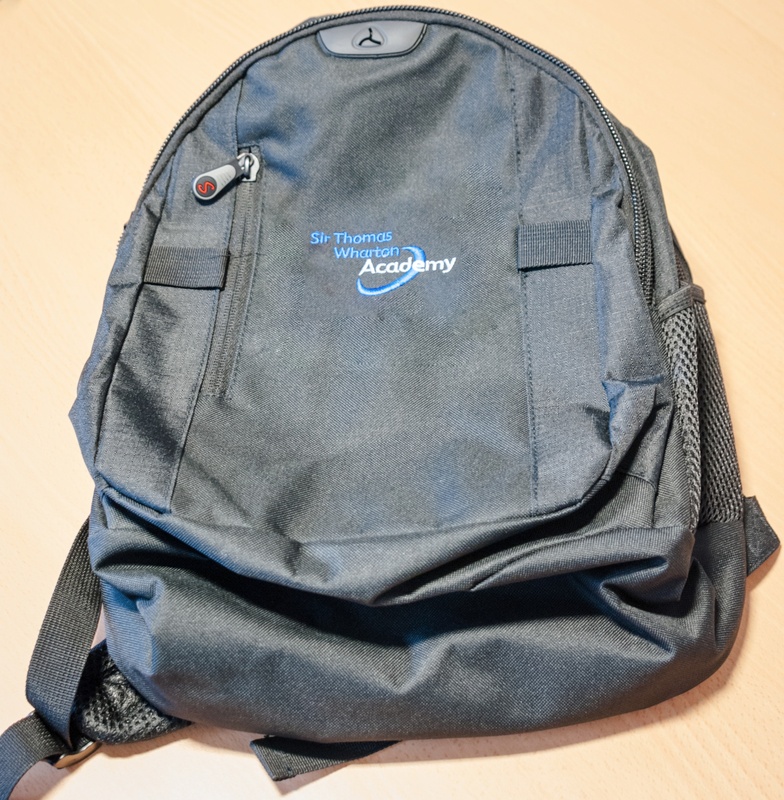 Year 7: An STWA bag or rucksack must be brought to the Academy every day. 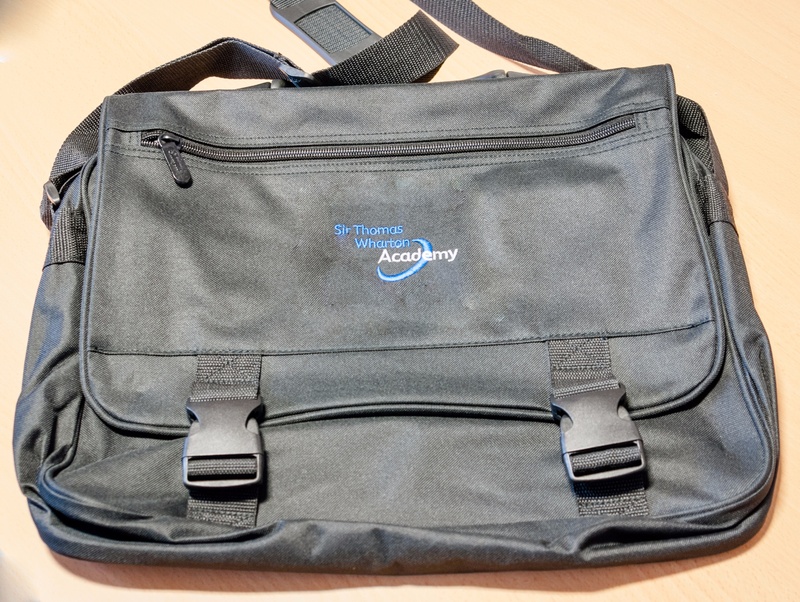 Years 8 - 11: An STWA bag or a plain black rucksack/satchel style bag must be brought to Academy every day (logo allowed but bag must be completely plain black). Plain white formal collared shirt buttoned to the neck (long or short sleeved) and worn tucked in all times. Plain black tailored/smart dress type trousers (denim/jean or jean style, skinny, drain pipe, hipster, bootleg or combat style trousers are not allowed). Trousers must not have any studs, chains, visible zips or tassels attached and should not be tight fitting at the ankle. 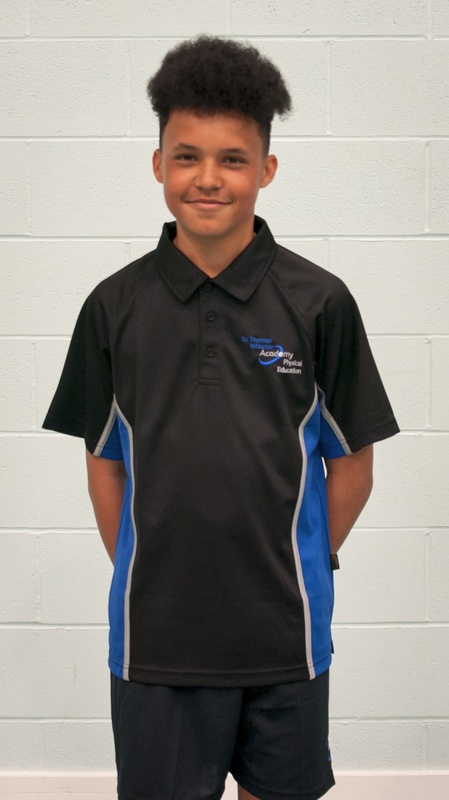 Plain black (large and/or coloured belts or buckles are not allowed). Plain black (trainers, boots, pumps or canvas footwear are not allowed, please see parental guidance sheet below for clarification). 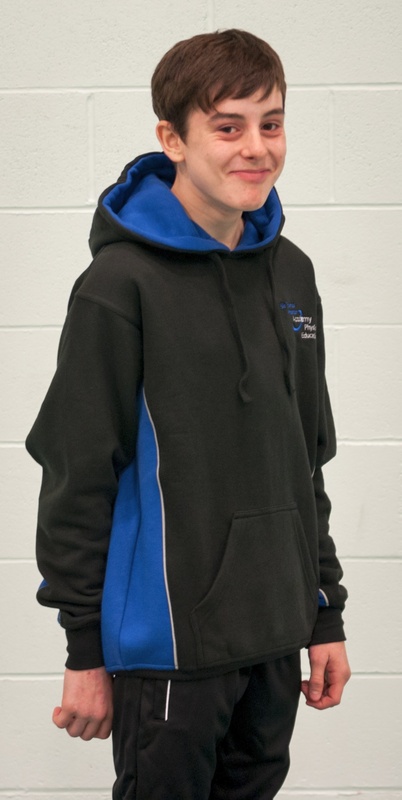 Black v-neck jumper or cardigan with the Academy logo (optional item). Plain black, pleated or tailored/straight skirt (e.g. suit style) worn at the knee (Skirts such as rah-rah/high waisted/lycra/stretch/pencil or other types of tight fitting skirts are not allowed). Plain black tailored/smart dress type trousers (denim/jean or jean style, stretch skinny tapered or ankle grazers, drain pipe, hipster, bootleg or combat style trousers are not allowed). Trousers must not have any studs, chains, visible zips or tassels attached and should not be tight fitting at the ankle. Plain dark coloured with trousers. Plain black tights with skirts. Plain black shoes (trainers, boots, pumps, canvas shoes, shoes with metal additions, large bows and tassels etc are not allowed - see parental guidance sheet below for clarification). Shoes must be appropriate and suitable for the activity e.g. 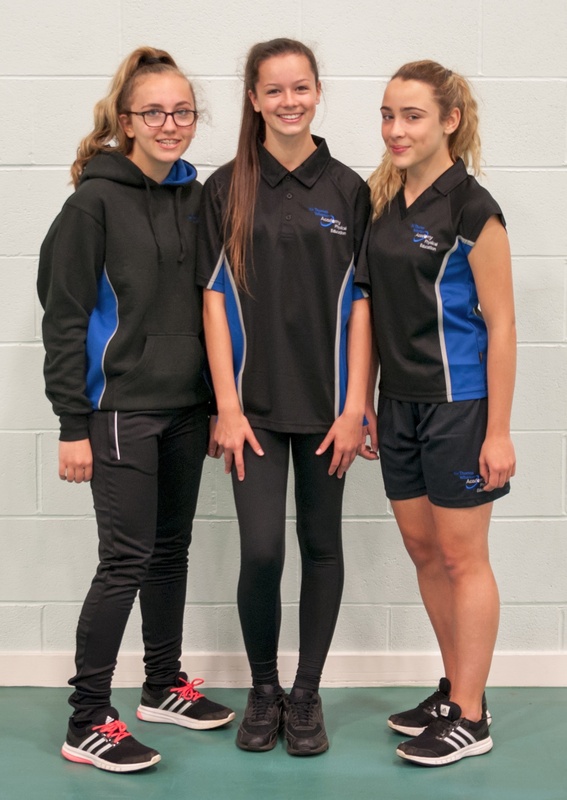 health and safety in practical subjects such as science. Heels should be no higher than 2.5 cm/1 inch. A clear (see-through) pencil case with black pens, pencils, rubber, ruler and pencil sharpener. An STWA planner (provided by the Academy). All of the items listed above can be purchased from the Academy shop.